Dr. Luke Langsjoen, UW-Madison will be speaking about the topic of Quantum Computing at 11 a.m. on Monday, May 12, in University Center room 259. The event is free and open to the public. 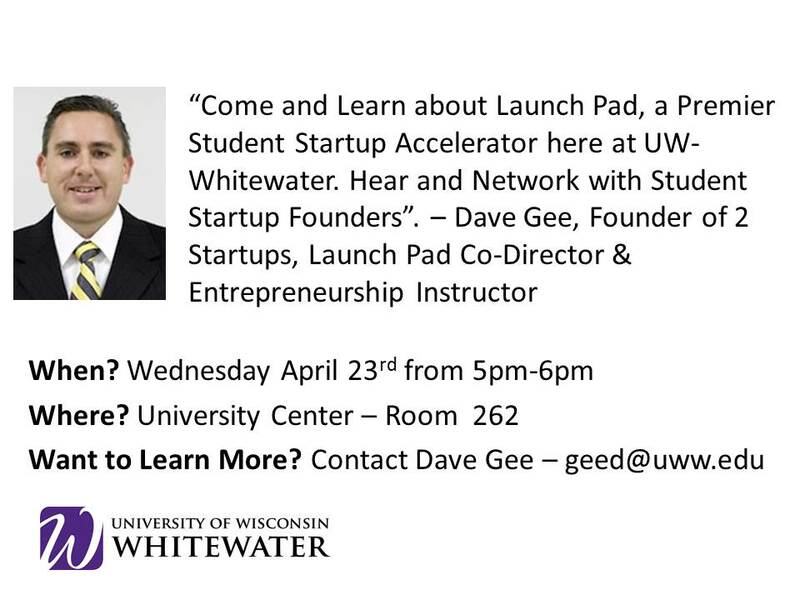 A panel of UW-Whitewater computer science graduates will be available, starting at noon, to discuss opportunities after graduation. Spring 2014 graduates will be recognized. Luke Langesjoen of UW-Madison will be speaking about the topic of Quantum Computing at 11 a.m. on Monday, May 12, in University Center room 259. The event is free and open to the public. 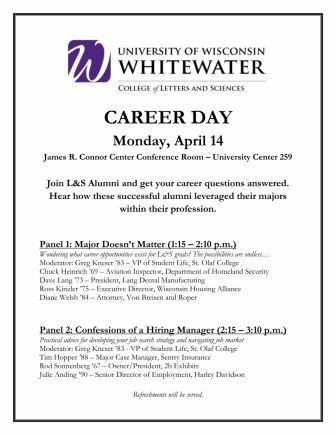 A panel of UW-Whitewater computer science graduates will also be available starting at noon, to discuss opportunities after graduation. Spring 2014 graduates will be recognized and refreshments will be provided. SOWD End of Semester Party Tonight! Today, we will be celebrating a great year for SOWD. Anyone that has ever attended a SOWD meeting is welcome to attend our end of semester party. We will be meeting in Hyland 1301 at 5:00 PM and then carpooling to Culvers for supper. I hope to see everyone there! Animal Medical Center in Whitewater needs advice on getting their website to pop up in searches and possibly upgrading it. If this sounds like the purr-fect opportunity for you (pun intended), call Dr. Mike Newell or Dr. Angela Reed at 262-473-5800. Jill Hilliger presenting The Basics of Photoshop with a sweet demonstration at the end. This fair will include exhibitors and employers who are not only offering information about sustainability, but many of them are offering jobs and internship in the field! It will be a great opportunity to network with employers! Justin Sdano will be presenting on what Adobe Muse is, the pros and cons of Adobe Muse, and finish with a demo of the software. 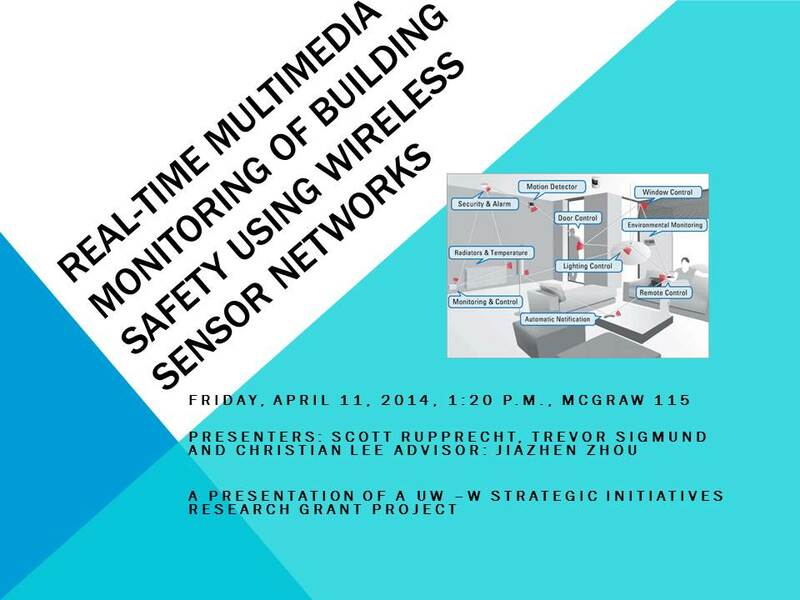 Monday, April 14, 2014 University Center Room 259. This is an excellent opportunity for students to meet, ask questions and network with alums. Local author and UW-Whitewater alumnus is seeking our help with a covert operator getting access to his personal property and illegally selling it on-line (ebook). He is looking for someone with network security background to help him track down and prosecute this person using internet forensics. 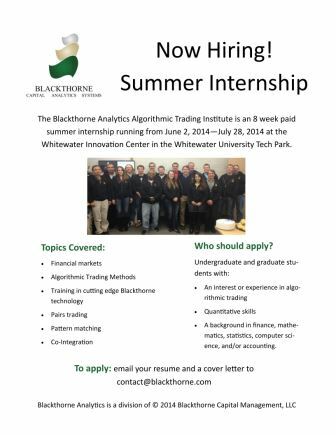 If you are a tech savvy student who feels up to this challenge, please contact Tom to discuss the terms of this position.